Everyone could benefit from the simple lessons in this audiobook. -21 short chapters detailing aspects of a happy life, from having"An Attitude of Gratitude" to "Making Peace with the Past". -Filled with poetry, stories, and photography to brighten any day and cause reflection over the little blessings in life. If you can't find happiness inside yourself, you'll never find it in the outside world, no matter where you move. Wherever you go, there you are. You take yourself with you. This is the essence of happiness-learning to find inner contentment in any situation. BJ Gallagher and Mac Anderson have teamed up again to put out another fantastic gift book. This audiobook details the collective life wisdom of the two authors. 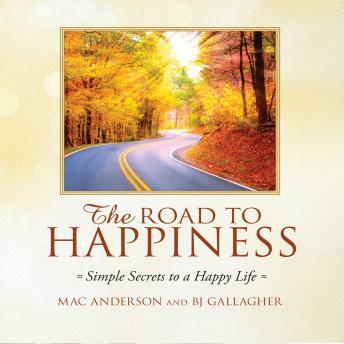 The Road to Happiness will make a great gift or addition to your own personal library.